Try this one out on your family (Shhhh! Don’t tell them what’s in it). They will fall in love with it and your cottage cheese haters will be shocked. I tried making this with a regular blender but my husband did not like it because the texture was not creamy enough. Not so with the Vitamix. I pack about a tablespoon of it in a small container and put it in his lunch with garden fresh veggies. 1. Place cottage cheese and milk into the Vitamix container and secure lid. 3. Turn machine on and increase speed to Variable 10. 4. Blend for 10 seconds or until smooth. 5. Remove lid and add mayonnaise and ranch dressing mix. 6. Secure lid and select Variable 1. 7. Turn machine on and increase speed to Variable 6. 8. Blend 10 seconds or until all ingredients are thoroughly combined. 9. Pour into a 3 cup container and refrigerate for 30 minutes. Food tip: Using cottage cheese to replace a portion of the milk and mayonnaise reduces fat while adding calcium and protein. The cottage cheese also thickens the dressing to make it perfect for dipping vegetables instead of using sour cream. To use as a salad dressing, add enough milk to reach the desired consistency. 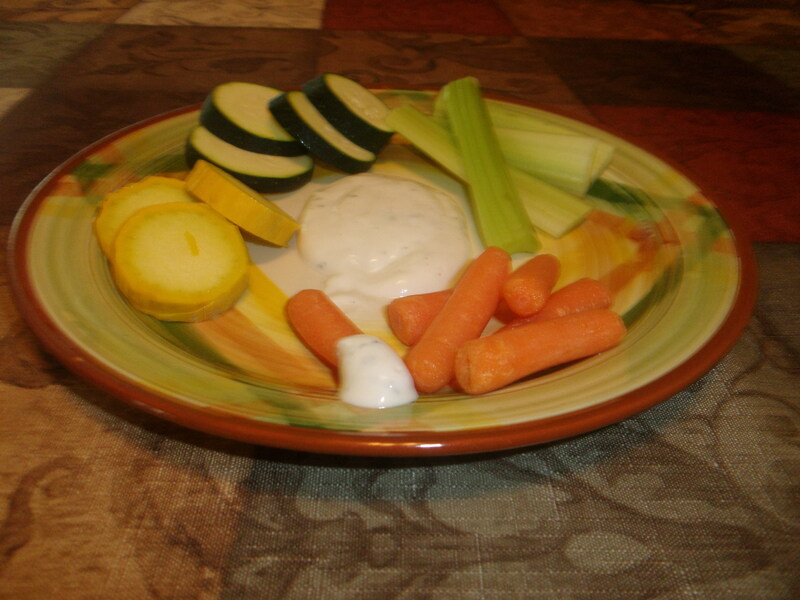 For thicker vegetable dip use 2/3 cup of mayonnaise and 1/3 cup of milk. You can make this recipe with just cottage or a combination of cottage cheese and milk but, if you are looking for the traditional tang of Hidden Valley Ranch Dressing, you will want to use the mayonnaise. Time Tip: When using the Vitamix this dressing takes about 5 minutes start to finish. Money Tip: Hidden Valley has a 3.75oz container of this dressing mix. It is always cheaper than the individual packages and keeps well for months in the cupboard. Cottage cheese can also be bought in larger containers for a lower price and can be used in a variety of recipes to replace whole milk, cream or half and half. When he was able, I started him off with vegetables instead of fruits just like my typical children. That way he didn’t get used to eating sweet foods and reject anything else. I tried a wide range of fresh foods with little or no added salt or sugar. I kept him as active as he was able to be. Children with Down Syndrome are just like typical children for the most part. They will follow your lead but they will also test limits. As with typical children, set boundaries on food and stick to them. 1. 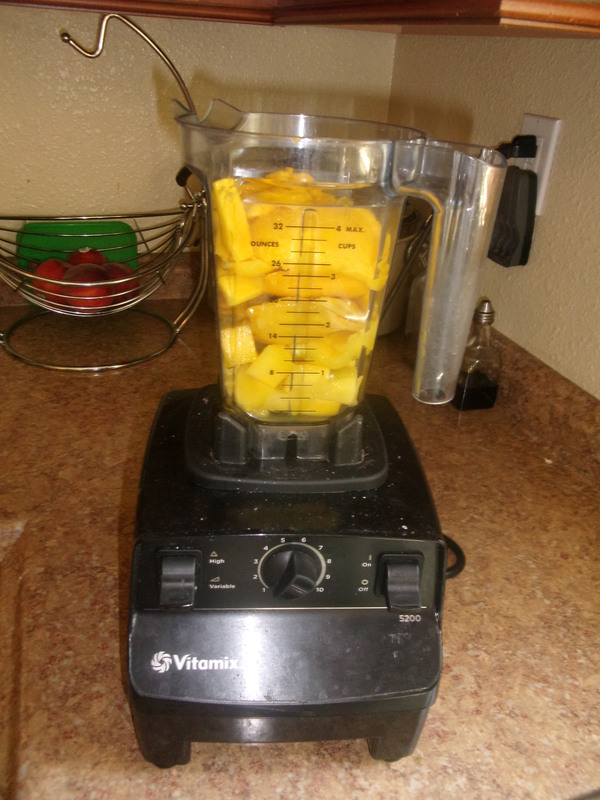 Place the mango pieces into the Vitamix Container and secure lid. 3. Quickly increase speed to Variable 10, then High. 4. Blend for 20 seconds. 5. Pour into ice cube trays, cover with plastic wrap and freeze. 6. Store cubes in labeled and dated Ziploc freezer bags. Food Tip: Freezing chopped fruit like mangos and pineapples without pureeing them first is a problem because the pieces stick together. Freezing blackberries and raspberries whole is ok but, if you love them in your smoothies but don’t like the seeds, pureeing them first is the answer. To use as baby food: Defrost only what you need and introduce new fruits to your baby’s diet to watch for allergies. Money Tip: Buy fruit in large quantities when they are in season and freeze them. Mangos that are not in season can cost $1 each. Buying mangos from your local Mexican or farmer’s market when they are in season (especially here in California) can cost you as little as 25 cents each! Homemade fruit puree is not only better for your baby but very inexpensive. Time Tip: Pureed fruit cubes are perfect at smoothie making time. Open up a bag and grab as many of these perfectly portioned cubes as you need. 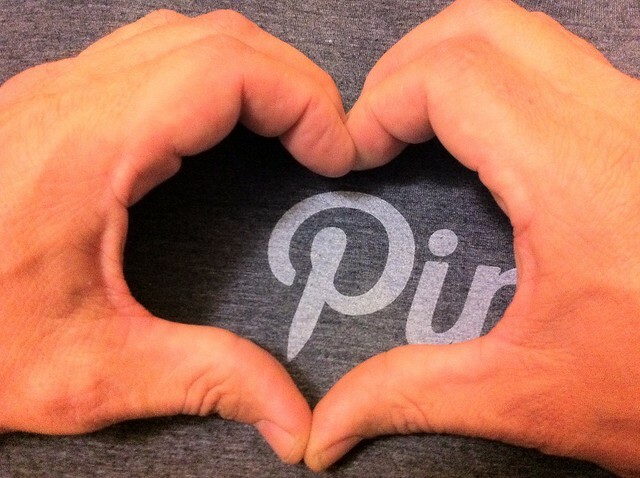 They are all about 1 ounce so you’ll never spend time guessing how much you have. The individual cubes don’t stick together so you’ll never have to go in search of a hammer to break up your mango iceberg again! This recipe is a hit even with my teenagers. It can be reduced by half and made in the 32oz container but the 64oz container is perfect for family sized soups. 1. Place all of the ingredients into the Vitamix container in the order listed and secure the lid. 4. Blend for 3 minutes or until steam escapes from the vented lid. Food tip: Using cottage cheese instead of cream, half and half or whole milk makes a richer soup while adding calcium and protein. 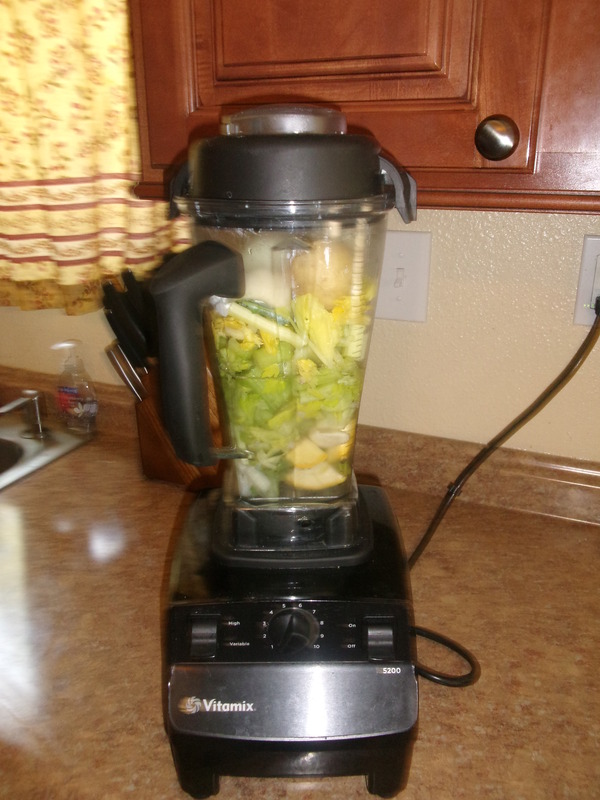 With the Vitamix there is no need to precook the vegetables so they retain their nutritional values. Canned creamed soups contain added salt, fat and thickeners and only a small amount of vegetables. Using chicken bouillon works well but if you are on a salt restricted diet you will want to use a salt free chicken stock. Homemade stock is always the best and it can be frozen in 1-2 cup portions for easy use. Money Tip: Fresh celery can cost less than 25 cents a pound and none of the celery needs to go to waste. This size recipe makes 2 quarts (8 servings) and costs less than 50 cents. A can of condensed celery soup (2 servings) costs $1.50 to $2.00 a can. Time Tip: Instead of taking time to bake the potato in the oven, microwave it until it is soft then simply add it to the Vitamix container skin and all. You can also save time if you happened to bake potatoes for dinner. 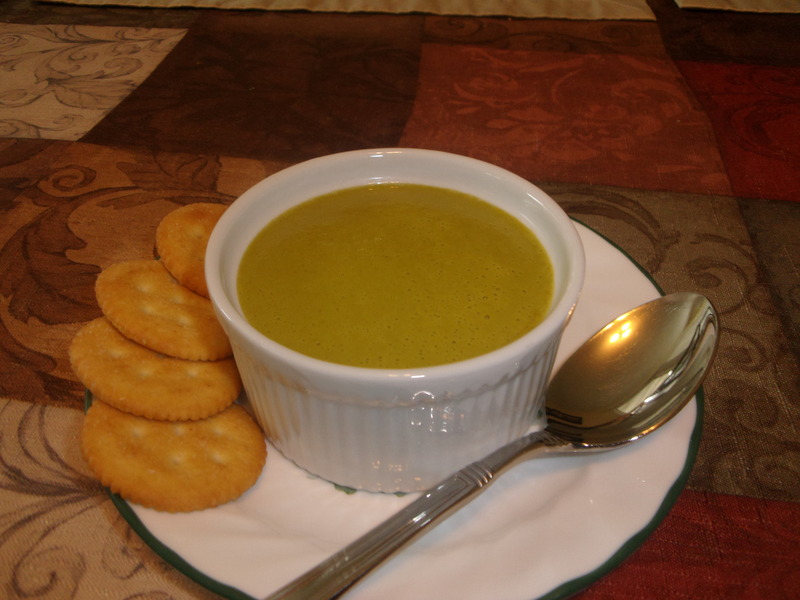 Simply save a small one in the refrigerator and make your cream of celery soup within the next few days. In almost the time it takes to open a can of condensed celery soup, reconstitute it and cook it, you can have 2 quarts of fresh celery soup for the entire family. This recipe can be found in the Vitamix Whole Food Recipe book. My twist on it is the added vanilla. Because I filter my almond milk, I found that adding the vanilla after meant using less of it. Also the mash remains unflavored so it can be used in a variety of recipes. 4. Blend for 2 minutes or until desired consistency is reached. Food Tip: Milk can be filtered through a nut milk bag for a smoother consistency. The remaining almond mash can be used in lots of other recipes. 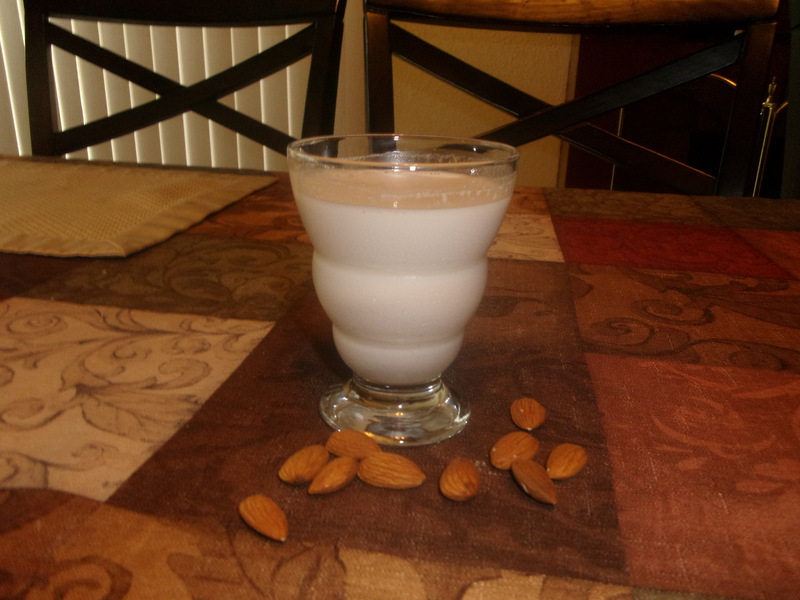 Processed almond milks contain additives and many contain added sugar. One carton I found had 15g of sugar whereas fresh unsweetened almond milk has 0g and it’s always fresh. Time Tip: Many recipes for almond milk require hours of soaking before blending. With the Vitamix that is unnecessary so it can be made on the spot with no waiting. Freeze the almond mash in ice cube trays so that they can be quickly added to recipes in 1oz portions. You never have to defrost more than you will use. Money Tip: A quart of processed almond milk can cost $5 but making it fresh is about half if you buy the raw almonds in bulk. 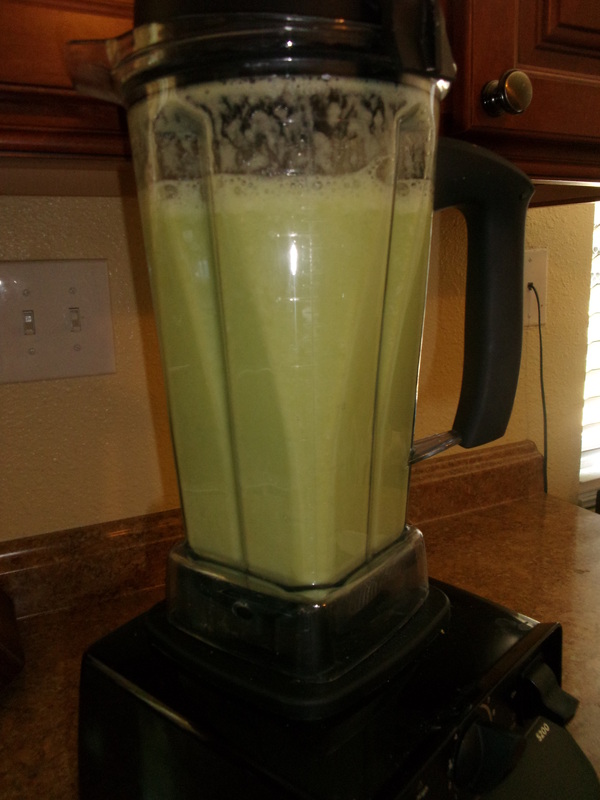 What the Vitamix can do is why we bought it. It’s history is why it is the only blender I will endorse and promote. This is the recipe that started it all. After I blend this in the Vitamix, my family comes into the kitchen looking for the apple pie because that’s exactly what it smells like. Even if you or your child has never liked oatmeal, give this recipe a try. You will be amazed at how good it tastes. The apples and raisins add natural sweetener. If you like your cereals a bit sweeter you can always add your favorite sweetener to the bowl but try it first. Enjoy! Bring 1 cup of dry steel cut oats, water and coconut milk to a boil. Reduce heat to low and continue cooking for 15 minutes stirring occasionally. Remove from heat and let stand for 15-20 minutes or until all of the liquid is absorbed. Place the chia seeds, apple, raisins and 1 cup of the cooked cereal into the large Vitamix container in the order listed and secure the lid. Turn machine on and quickly increase speed toVariable10, then to High. Blend until completely smooth. Turn off machine and remove lid. Add remaining cereal and replace lid. Blend for 30 seconds to 1 minute or until desired consistency is reached. Pour into ice cube tray, cover with plastic wrap and freeze. Food Tip: This recipe can be reduced by 1/2 and made in smaller containers. This oatmeal is best suited for older babies and individuals on a pureed diet that can handle a bit of texture. For younger babies and individuals with gag reflex problems it is best to start with basic oatmeal made from oat flour (see recipe in whole grains). When making this recipe for younger babies, add 1 ingredient at a time with at least 4 days in between additions to test for allergic reactions. This recipe tastes so good the whole family will love it! Money Tip: Watch your prices. I use Steel cut oats instead of whole oat groats, old fashioned oats or quick oats. Oat groats and Steel cut oats have a more robust flavor and more fiber because of the oat bran. Other than that, they are pretty much the same nutritionally. Steel cut oats run about 65 cents a pound if you buy them in bulk. Since you are grinding or blending, why not save some money. Time Tip: Each cube is approximately 1 once. Storing you cubes in labeled freezer bags will save lots of time and your servings will always be fresh. To serve, simply put the desired portion in a microwavable bowl the night before and heat for 15-30 seconds on high. If the cubes have not been defrosted, it will take 30-60 seconds to heat. 4 frozen cubes takes approximately 45 seconds.